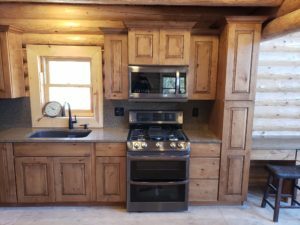 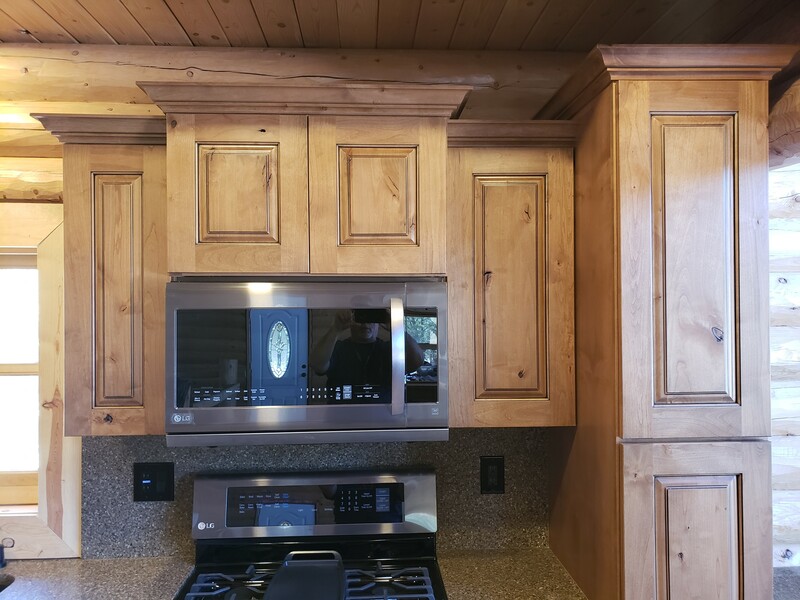 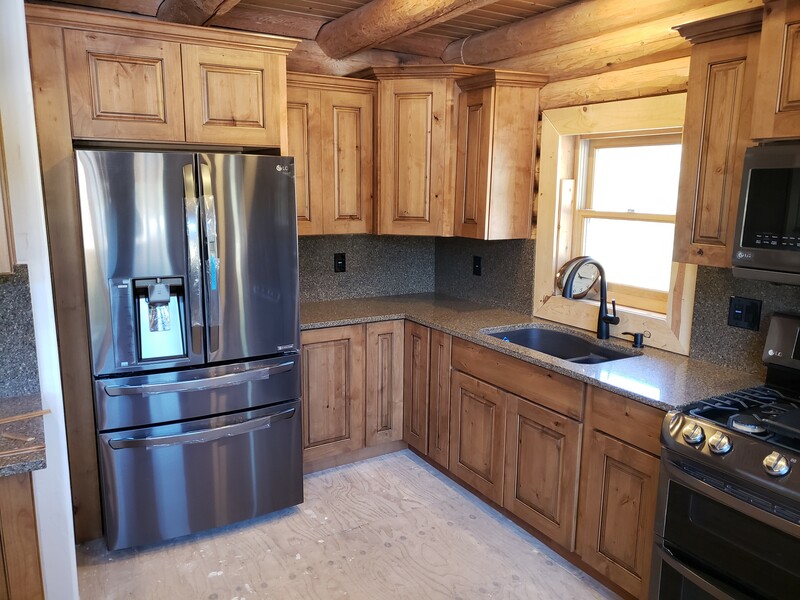 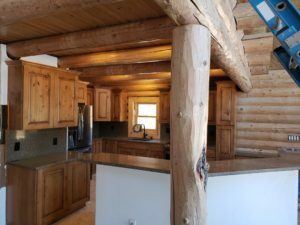 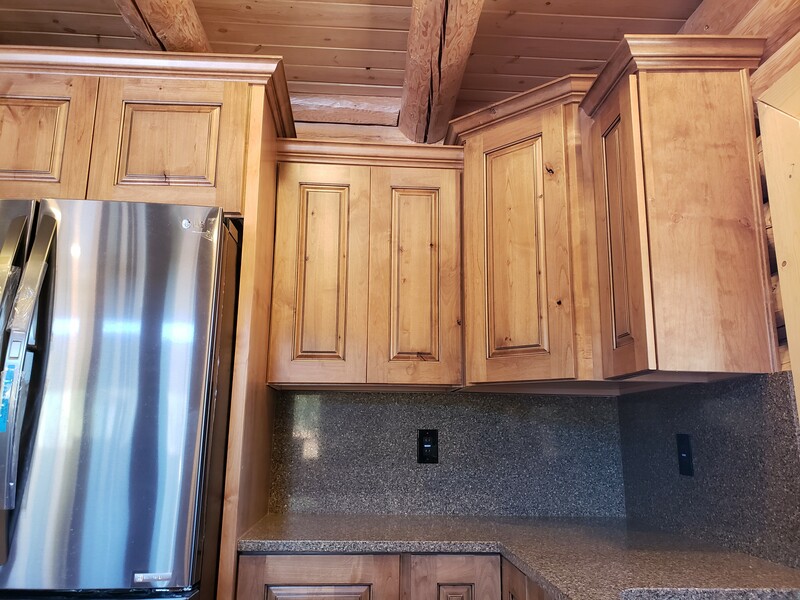 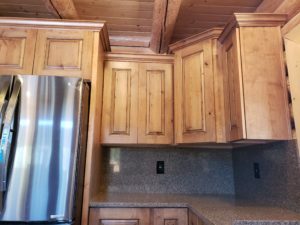 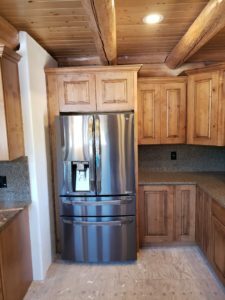 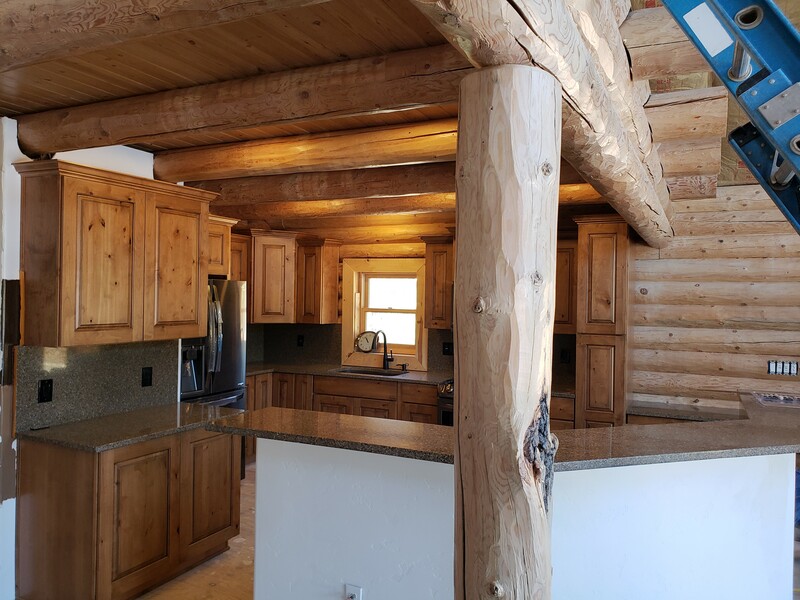 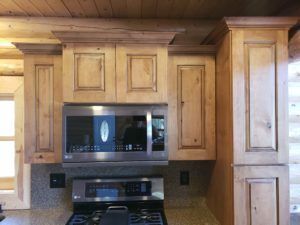 Cabinetry for this rustic cabin is created to blend with natural wood surroundings. 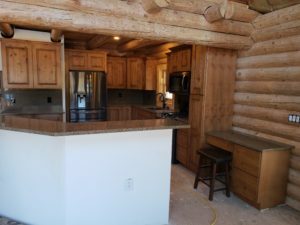 Natiral knotting and understated granite are featured. Special elements include a built-in desk, L-shaped kitchen bar and architectural detailing.